Norah McClintock's book Out of Tune: A Riley Donovan Mystery was available from LibraryThing Early Reviewers. Norah McClintock's book Slide was available from LibraryThing Early Reviewers. Norah McClintock's book From Above: A Riley Donovan Mystery was available from LibraryThing Early Reviewers. Norah McClintock's book Trial by Fire: A Riley Donovan Mystery was available from LibraryThing Early Reviewers. Norah McClintock's book My Life Before Me was available from LibraryThing Early Reviewers. Norah McClintock's book From the Dead was available from LibraryThing Early Reviewers. Norah McClintock's book About that Night was available from LibraryThing Early Reviewers. Norah McClintock's book Close to the Heel was available from LibraryThing Early Reviewers. Norah McClintock's book Cleanup was available from LibraryThing Early Reviewers. Norah McClintock's book Guilty was available from LibraryThing Early Reviewers. Norah McClintock's book She Said/She Saw was available from LibraryThing Early Reviewers. Norah McClintock's book Taken was available from LibraryThing Early Reviewers. 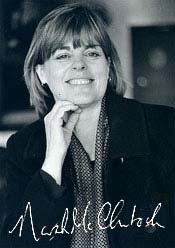 Norah McClintock is currently considered a "single author." If one or more works are by a distinct, homonymous authors, go ahead and split the author. Norah McClintock is composed of 4 names. You can examine and separate out names.